I had been looking for a place to not just fix a back issue but my overall health. I got to say that this place is it. The staff is very friendly and straightforward. They addressed my issues instantly and put me on a treatment plan to help me begin leading a better life for myself. Both doctors are easy to speak with and are understanding of ones issues. Not just pain related but also years of bad habits and helping ease the transition away from them. I won’t lie and say it’s not hard work to make changes, because it is. What I have really enjoyed from my visits is being taught techniques to do on my own time and include them as part of my routine. It is super helpful to be shown what you need to do to help specific muscles stretch. You will not find a better team than Dr. Gruby and his crew. I had seen doctors all over from Rush University to Cleveland Clinic to help with my unique internal issues, which have kept me on a diet of basically chicken and rice. Years of hospital hopping had left me with nothing but bottles of prescription pills with side-effect for breakfast and practically no results. I’d resigned myself to this bland anti inflammatory diet for eternity, until I met Dr. Gruby. Within a few months of his help I had added several food items to my diet and the list is still growing! Once we got results with that, we moved on to my back, hip, and knee pains. I’ve had three back surgeries prior to visiting Dr. Gruby and Dr. Glowiak, and I never thought I’d see a month without my back going out. It’s been over one year now and I haven’t had a a single day of heating pads and painkillers, or calling in to work to explains that I can’t even get out of bed to walk to the bathroom because of my back. I live on the south side of Chicago and travel over an hour to get to their offices, but it is worth every second of that commute. Every time I visit the office they’re warm and inviting, the staff is so professional and really treat you like their own. I honestly haven’t felt this balanced, energized and physically great in years and I owe that to Dr. Gruby. I personally want to thank the entire team at chiromend. I’ve struggled with chronic lower back pain for the past 10 yrs and in 3 months they were able to help me get back on track I am able to enjoy my life again pain free. I highly recommend Chiromend to anyone suffering from chronic pain. I have been seeing Dr. Gruby since the end of November 2017 for my severe back pain. I had been under the care of a different chiropractor in Mount Prospect that was only concerned about appointment setting and major adjustments to my neck and spine after nothing more than a brief history. After over a year of treatment the other practice left me in worse condition than before I began treatment. In stark contrast, since I began seeing the doctors at Chiromend I have had significant improvement in a short period of time with more of a focus on physical therapy, proper nutrition guidance (more water, less caffeine ;), proper stretching techniques for my condition, and slowly adding in strength training. I have been able to reduce my pain medication within a few months of care and feel better. I continue to see results and getting ready to ask for another drop in medication from my pain management doctors in the next two months. This for me, is extremely exciting and freeing. I can only attribute my successes and improvements to the quality of care I have been receiving at ChiroMend. Every step of the way beginning with my first visit, both doctors were entirely up front about the process of determining my course of care “if they felt they could be of assistance in bettering my health”! and the costs that may not be covered by my insurance. I was impressed with the time they took to review the MRI’s, radiology reports, recent blood work results, and everything I brought with me about my condition. After an extensive review of my history, an extended conversation about my pain, and a thorough exam. The doctors reviewed everything and discussed my case before they wrote a plan of care for me. They asked me how I felt about the treatment plan and if I felt it was something I wanted to pursue. There was no pushing, not hurry up and lets go. The choice to be under their care was no different than any other doctor, and completely up to me. The staff is caring and has the interests of their patients at the forefront. If you have been through the agony of a bulging disk and stenosis, you know it is imperative to be active in your own recovery and to make sure you make your appointments. This is a small practice, and booking a week ahead is convenient for me because I have a specific window of time I need to get in at night. I have recommended this practice to several people and speak highly of them because of what they have done for me. I am thrilled with my progress to date and look forward to the day they tell me I can start going back to the riding stable!!! Dr Gruby and his staff are extremely good. If you are a golfer, or know of one, these guys can drop your handicap 2 strokes in the first 2.5 months. I can make a full swing where before I had minimal movement with shoulders and back. The Dr assessed my problem, and has made my life so great. They work with you, your work schedule, and your pocketbook. I continue to go, twice every week. Once prior to golfing on the weekend and right after golfing on the weekend. I am so happy I found the Doctor and ChiroMend. Dr. Gruby and staff are friendly, helpful, and professional. I had been seeing another chiropractor for years and still had chronic back pain with no relief. When I saw Dr. Gruby the first time, he diagnosed my problem and gave me the appropriate recovery plan. His staff made me realize the high quality service that I had been missing. They have been providing me with wonderful, expert care and Scott is an amazing massage therapist. My back has been feeling much better thanks to their efforts. Dr. Gruby and Scott are so wonderful to work with, they always go out of their way to make you feel welcome and comfortable. Ashley is always willing to work with your personal schedule and help you keep on track and make sure you always get the appointment that you need. Dr. Gruby, Scott, and Ashley are welcoming and make going to a chiropractor’s office very enjoyable. In addition to adjustments and physical therapy from Dr. Gruby, Scott and Ashley are great massage therapists. They are truly a well rounded team to keep your body limber and strong. I’ve been visiting ChiroMend regularly for the past 3 months and have gained much more strength and range of motion in my upper back and neck. This is all due to the joint work, massage therapy, and core strengthening Dr. Gruby prescribes. Everyone in the office is kind, welcoming, and extremely professional. This place really is a comprehensive health center focused on getting you pain free and keeping you that way. I recommend ChiroMend to anybody! Simply put, it’s an experience. Dr. Gruby and his staff are able to keep me operating in top condition, as well as identify key areas of preventative care to keep my body healthy, but out of pain. I enjoy a high level of physical activity, and if / when I do have pain, the entire Chiromend team is able to sort it out promptly. Highly recommended in the area! Dr. Gruby is someone you should see. I started there overweight and with chronic back and neck issues stemming from an accident years prior. They take the time and effort to work with patients to get to the root of what is causing their health issues via a comprehensive evaluation and follow ups on progress. From amazing therapeutic massages and repairing techniques to their nutritional and strength building guidance (and adjustments that work! )…the practice has changed my life for the better. I recommend Chiromend to everyone I know! I dropped 20% of my body weight and got strong enough to go back to running because they taught me how to respect my body. Dr. Gruby really takes the time to listen to you. He is very thorough and builds a care plan based on improving your condition and teaching you how to remain healthy once the immediate issue is corrected. He makes an effort to get a view of your overall health, not just your chiropractic health. 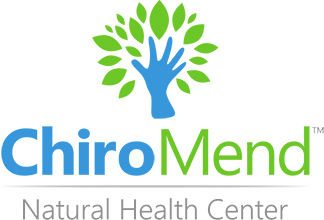 I initially went to Chiromend thinking they were just a chiropractic office and was thrilled when they were able to work with me on my food sensitivities and digestive health. Working with Dr. G has been life changing! The office doesn’t feel like a ‘doctor’s office’ at all. It is warm and inviting and the entire staff treats you like you’re an old friend. I highly recommend Dr. Gruby & staff to everybody I know.. I am a non-practicing RN who has always believed in Chiropractic care over drugs. On January 1st I injured my back trying to pick my father up off the floor. I suffered for 18 days hoping it would get better and it got worse! Because a friend of mine told them about my incident, they actually contacted me and offered there services. After the second treatment there was a marked improvement. Their technique is unlike any other Chiropractor I have experienced. They are very current, caring and extremely observant – paying much attention to detail, thus giving custom treatment to individual problems. Highly recommended! ChiroMend is by far the most thorough Clinic I have ever been to, and I have been to quite a few over the past 25 years. I’m simply amazed how they really knows their stuff. They surprised me by incorporated nutritional coaching, supplementation, exercise, and other techniques to get me well, in addition to traditional chiropractic care. I had a chronic debilitating undiagnosed intestinal sickness for 3 years that progressively got worse. Toward the end, I couldn’t go to work or leave my apartment and medical doctors I went to couldn’t find what was wrong. I ended up trying Dr. Gruby and he found out I had multiple food allergies and was vitamin/nutrient deficient. I also found I had weak back muscles that was causing me a lot of lower back pain. Over the course of 6 months, Dr. Gruby got me reconnected with my health and with my new understanding, started to exercise and avoid the foods that I’m allergic to. Dr. Gruby is great! I needed a new pillow because my old one was causing neck and shoulder pain. I’ve never been to a chiropractor, but found the experience to be the perfect solution. The office decor is comfortable and relaxing, his staff are friendly and professional. Dr. Gruby evaluated my sleep style and old pillows, then he measured my neck and shoulders to fit me with a pillow that’s right for me. He answered all of my questions and gave me helpful advice on healthy sleeping habits! Now I can go off to dreamland every night without waking up in pain! Thank you Dr. Gruby! The team at ChiroMend take an integral approach to wellness. They not only addressed my immediate pain, but developed a personalized strengthening routine to prevent future injuries. They are exceptionally attentive and dealt with my pain gently and effectively. I was extremely impressed with the level of care I received during every visit. This is definitely the best chiropractic office I have seen and I highly recommend this practice. Dr. Gruby really takes the time to listen to you. He is very thorough and builds a care plan based on improving your condition and teaching you how to remain healthy once the immediate issue is corrected. He makes an effort to get a view of your overall health, not just your chiropractic health. I initially went to Dr. Gruby thinking he was a chiropractor and was thrilled when he was able to work with me on my food sensitivities and digestive health. Working with Dr. G has been life changing! Scott is a fantastic, on staff, massage therapist and deserves mention here, too. Whether it’s back, neck, knee or foot, Scott can work through tough areas without tickling or causing pain. The office doesn’t feel like a ‘doctor’s office’ at all. It is warm and inviting and the entire staff treats you like you’re an old friend. I highly recommend Dr. Gruby & staff to everybody I know. I’ve been seeing Dr. Gruby on & off for over 2 years now. No matter what the problem is, he always gets to the root of it. You never feel rushed, he always takes time to review eveything. His nutrition plan for me was spot on & when I took a nasty fall the beginning of the year he got me back on track in no time. Scott gives an incredible massage. Truly a wonderful office to visit! Extremely pleased with my treatment! Each visit is very thorough and Dr. Gruby does not leave anything unanswered. My initial appointment took 2 hours but, I had a lot of issues going on. I have now been a patient for 7 months and Dr. Gruby and his staff are among the friendliest and most professional I have met. Dr. Gruby takes care of all aspects of your health. His care has made me care more about my body! It would be hard to top this office. The atmosphere is relaxing and comforting. Dr. Gruby definitely knows his stuff. I had an old lacrosse injury to my neck that had bothered me for years and after going here consistently, it no longer bothers me. Dr. Gruby also knows a lot about wellness and nutrition in general. He’s recommended some great nutritional therapies for other health issues. I definitely recommend him. I love working with Dr. Gruby. He is very personable and has impressed me with the quality of service that he provides. I highly recommend him to anyone that is seeking chiropractic assistance. Dr. Gruby and staff are phenomenal. I tried everything imaginable to fix my stiff and painful neck and everywhere I went, I got a different diagnosis and different medications. He is very thorough and takes the time to help figure out where the problem is coming from instead of doing the “quick fix”. I am feeling great and will continue on his wellness path! I have been a chiropractic patient since 1985 and have seen ten different Chiropractors, physical therapists, and various medical specialists over the years. My most beneficial experience with a Doctor of any kind has been with Dr. Gruby which started toward the end of 2009. He’s the first Doctor to have spent the time to diagnose the actual causes of my various medical conditions and to work on improving my overall health rather than just focusing on a “quick temporary fix” of the problem areas. I’ve never known another Doctor to be as thorough, or to spend as much quality one-on-one time treating each patient. He’s incredibly knowledgeable and I’ve learned more from Dr. Gruby than I have learned from all the other Doctors combined. Just importantly as knowledge and skill, Dr. Gruby is a good person who genuinely cares about the well being of his patients and goes the extra mile to help them. In addition to this, his office has worked with me financially, so I can still afford treatment despite the loss of health insurance. I strongly recommend seeing Dr. Gruby! I will continue to recommend him to friends, family and co-workers. Chiromend is great. I had a major ankle sprain that kept me immobile for an entire month. Once I was able to begin to walk again, the team helped me to get back on my feet, and recover my full range of motion. They worked with me to create a successful recovery plan that enabled me to actually recover, and even strengthen my ankle, so I could have piece of mind that my injury wouldn’t happen again. They treated my problem, and helped to prevent it from recurring. Great job. I was struggling with awful lower back pain which was getting progressively worse. I am on my feet most of the day at my job and would feel miserable all day with the pain in my back, as well as pain in my legs and feet. I have seen such improvement with my back pain since I started as a patient at Chiromend. My pain has gone away and after finding proper shoes and orthotics, I can work a whole day on my feet and still feel great when I come home. Another great thing about Chiromend is they look at the patient as a whole, working with people to make sure they are eating healthy, getting proper rest, managing stress and getting the proper vitamins/minerals. Furthermore, you can tell that they truly care about their patients. The Doctors have a excellent bedside manner, are very understanding, they listen and are personable. I have to admit, I was in shock after my first couple visits with Chiromend because I have never met a doctor that I felt I could trust and that showed such kindness. We definitely need more doctors out there like them! For the first time in years I do not have physical pain due to Dr. Gruby’s excellent care. The fact that he is a chiropractor that can do physical therapy has made a huge difference in my recovery. I recommend him all the time to my friends as he puts in so much time and thought into providing the appropriate resources for each individual’s care. Additionally, he is a compassionate and inspiring person. I began to see Dr. Gruby in August of 2009 following a car accident. When I first came to him I had very little range of motion and I could not turn my head. Dr. Gruby worked on me and now I have full range of motion. Without him I do not think my range would have returned. He is a very caring individual. I have in the past seen other Chiropractors and none of them even comes close to Dr. Gruby. At Chiromend the care is holistic. They are very detailed oriented and a patient-centric physicians. They care with heart and they care about the wellness of their patient’s mind, body and soul. I would recommend them to all my friends and family members. I came to Dr. Gruby recovering from knee surgery. He identified imbalances in my leg length and my muscle flexibility. Through his diligent work and analysis, I have been able to recover the range of motion in my leg. I also increased my strength and flexibility. I have been a patient at Chiromend for about a half a year now, and have been very happy with their services. Initially I came in hoping to alleviate some lower back pains, but overtime, have stated working on addressing shin splits which have been bothering me on and off for years. The Chiromend Team is very knowledgeable and good with patience. I would recommend their services to anyone looking for a good, reliable chiropractor. I’m extremely satisfied with Dr. Gruby’s treatments. I’ve gone to him on 2 separate occasions over the last 2 years and each time he was able to eliminate the pain. In addition to being a good chiropractor, he’s extremely knowledgeable about nutrition. This was very helpful over the last year as I’ve become more health conscious. Scott, the massage therapist, is amazing! My back has significantly improved while under the care of Chiromend Team! I no longer have the chronic low back pain due to my scoliosis and arthritis. Also, I would say my back is much more flexible and feels “younger.” They are extremely knowledgeable, thorough and personable – great Doctors.